We’ve made our technology suite easy to integrate and enterprise-ready so you can drastically speed up the go to market timeframe and reduce the cost of your rollout. Track your devices’ movements and environmental conditions. Access the real-time presence and smart sensor data using MQTT, WebSocket, or webhooks. Trigger various actions via HTTP requests when particular conditions are met, for example a tag enters or exits a specific space. Execute triggers by the Kontakt.io Cloud, a gateway, or Kontakt.io SDKs. Minimize time, complexity, and cost spent managing your Bluetooth devices. 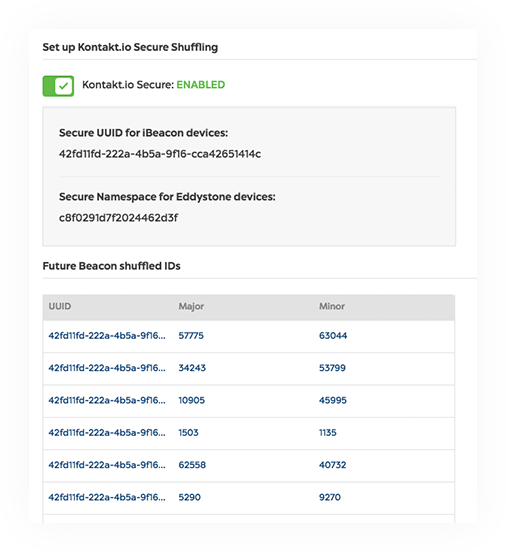 Update your devices over-the-air via the Kontakt.io Infrastructure API, SDKs, Kontakt.io Gateways, and select 3rd party Gateways and WiFi Access Points. Monitor the health of your beacons and tags for preventive device maintenance. Prevent successful attacks on devices, data, and applications. Create rules to notify you about deployment issues that require your attention. Put virtual representations of your beacons on a map for easier maintenance. Access all data and infrastructure management features with the Kontakt.io tools: directly in our web and mobile apps or integrate our stack with your solution. 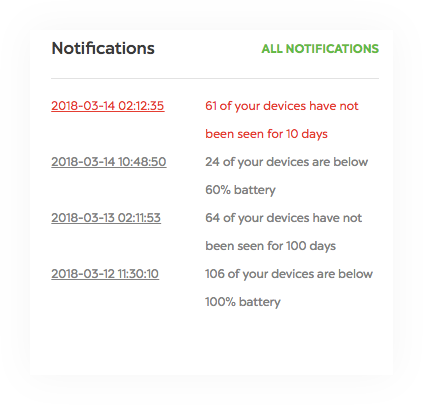 Manage and monitor the status of your devices from a web-based application. The Kontakt.io Panel, built upon our API, helps developers and non-developers plan, organize, and document deployments, change device settings and profiles individually or in bulk, check their battery status, assign devices to managers, and more. 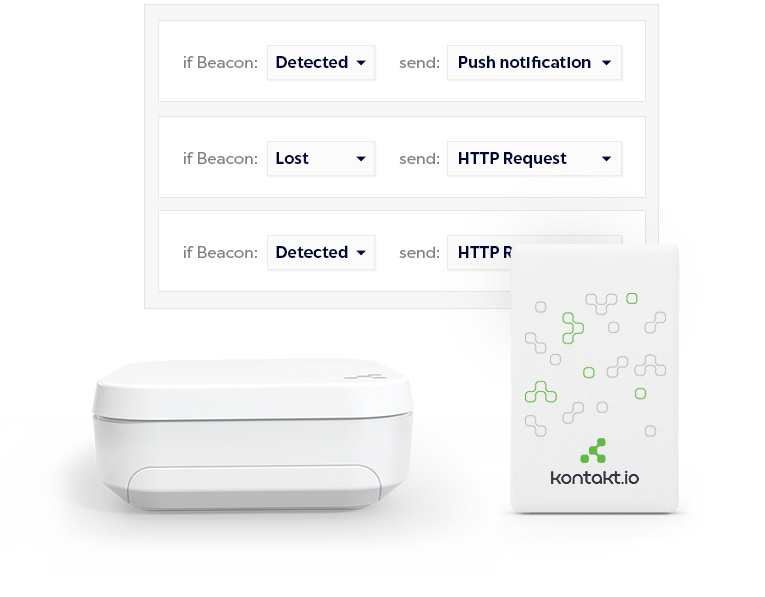 The Kontakt.io Admin App lets you test, manage, and update your beacons and tags whenever you make a configuration change or when a new firmware version is released. It also provides you with information on the number of beacons nearby, their health, and their configuration values. Enterprise-grade Kontakt.io API deeply integrates with your solutions to provide you and your customers with industry-leading security features, bulk management, and instant information about your devices. Trigger location-based content, manage your devices when physically on site, make your smartphone a mobile gateway, and more. Kontakt.io SDKs for iOS and Android help you quickly build a mobile application that integrates with the Kontakt.io platform. 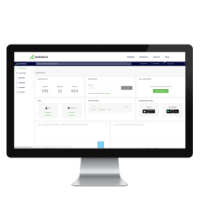 If you’re a developer or solution provider wanting to test our products with your solution, go to our store and order a development kit for your demo. 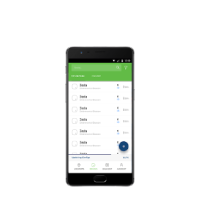 You can select a subscription plan when placing an order. If you need custom pricing for enterprise orders or want to talk about our end-to-end solution, contact our sales team and describe your requirements.